Davis and Olivia both get monthly treat boxes. Davis gets one called the Loot Crate and Olivia gets a Birch Box. Davis’ has geek and gamer goodies while Olivia gets to enjoy makeup samples from hers. I thought it might be fun to have a box of my own. I received my Georgia Crafted goody box yesterday. You can get a box of products made by Georgia artisans delivered to your door each month from Georgia Crafted. 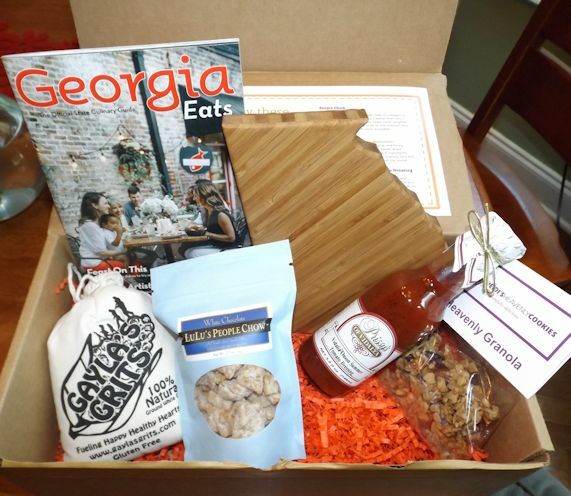 This month featured a Georgia shaped cutting board, Gayla’s Grits, Prissy’s of Vidalia Vidalia Onion Tomato Dressing, granola from Heidi’s Heavenly Cookies, and Lulu’s People Chow. By the way, I am not affiliated with Georgia Crafted in any way and was not compensated for mentioning them in the blog. I just enjoyed the box and wanted to share. I used the grits and the tomato dressing this afternoon to make some Georgia French Fries from the Gone with the Grits cookbook by Diane Pfeifer. Incredibly delicious and I will be adding this to my repertoire. Bring salted water (1/2 teaspoon salt) to boil in medium saucepan. Slowly stir in grits, reduce heat and cook, stirring occasionally until liquid is absorbed and grits are tender. Spread into a buttered 9X13-inch pan and let cool until firm. 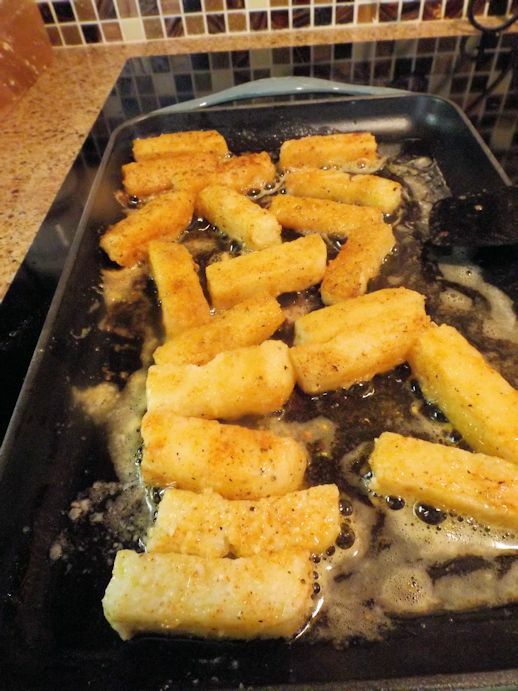 Cut into French fry-sized pieces (about 1/2 X 3 inch pieces). Combine flour, 1/2 teaspoon salt, pepper, lemon pepper, seasoning salt, and paprika in medium bowl. 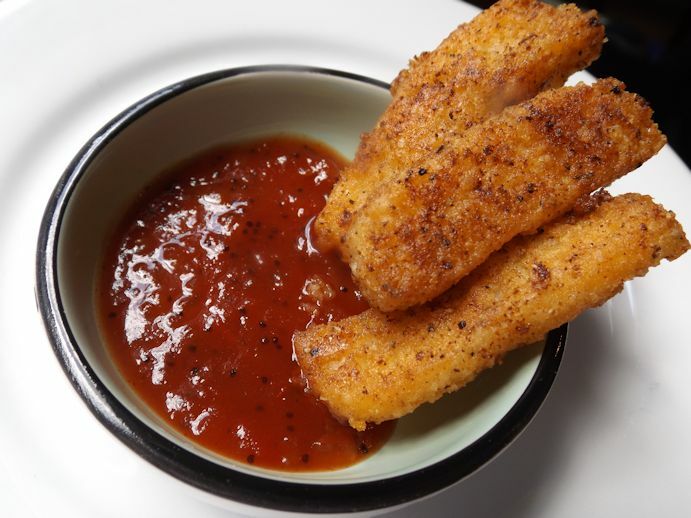 Coat grits strips in breading mixture on all sides. 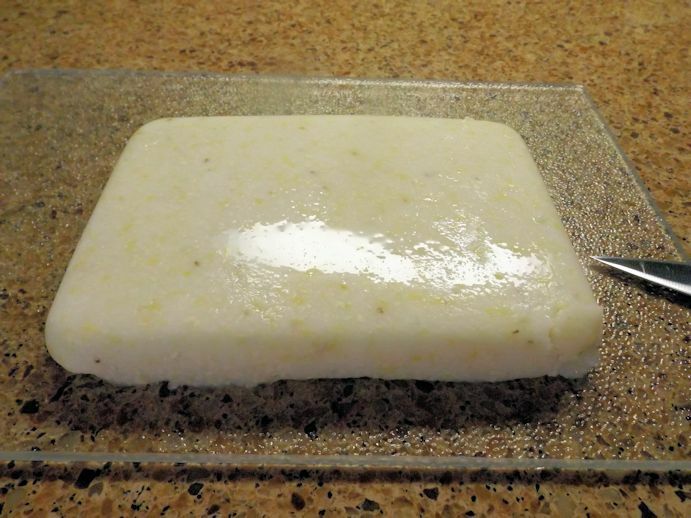 Melt butter in large skillet. Fry grits until crispy on all sides. I served mine with the Vidalia Onion Tomato Dressing. This was an easy recipe to make. 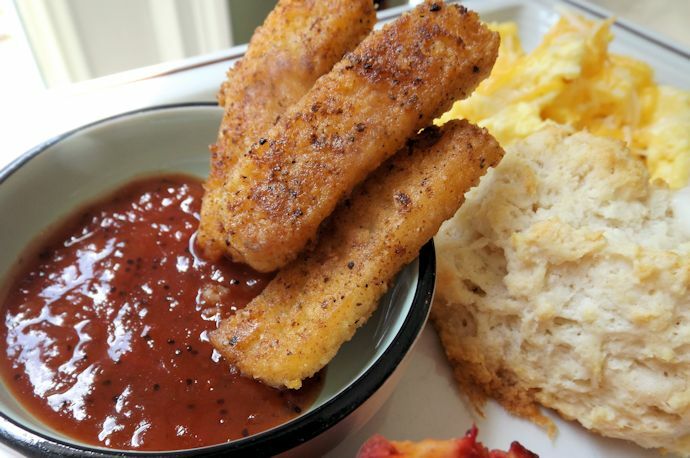 Especially if you can channel back to your summer camp days (in the south) when they would serve grits in the morning with the bacon-cheese-eggs and biscuits. If you didn’t eat the grits immediately they would harden into a grits disc that would inevitably be flung across the table accompanied by squeals of delight. 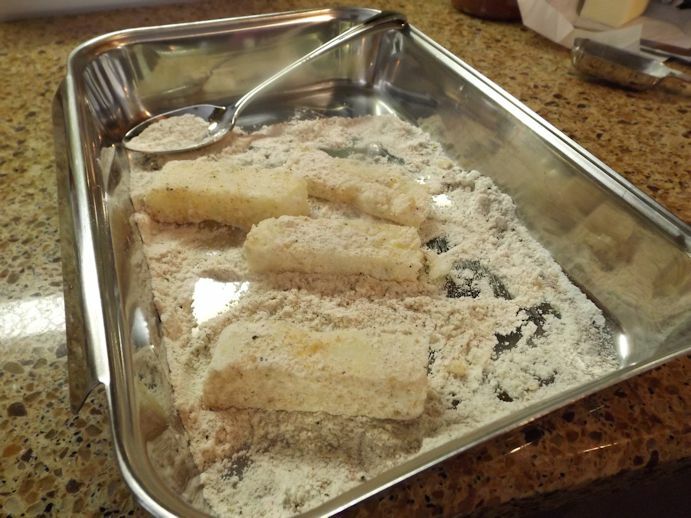 Cut the grits into french fry-sized pieces and coat with the seasoning mix. Fry in butter until crisp. Our breakfast for dinner was greatly enhanced by these yummy grits fries. They were easy to make and brought this ordinary meal up a notch for sure.